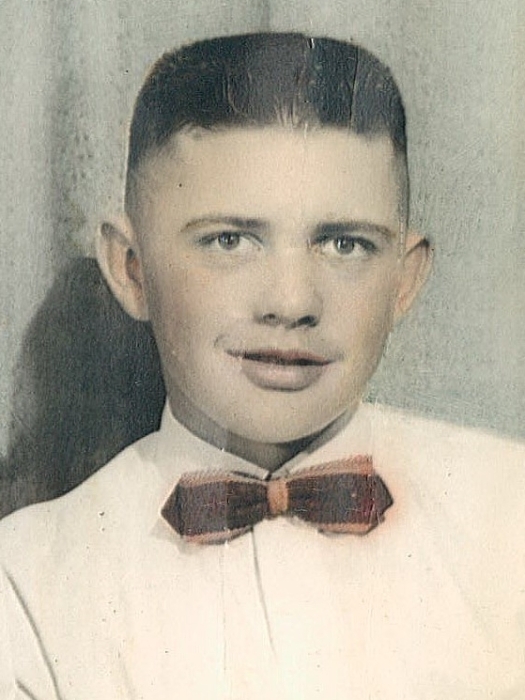 Art was welcomed into the world at two and a half pounds, the only child to Bertha and Dale Froman. In his baby book, his mother described him as a good story teller who liked to play with engines and machines. Art’s mother also mentions how Art (three years of age) spent lots of his time playing with his early playmate and best friend, great-grandpa Wallace (ninety-five years of age). Art had many accomplishments in his life time. 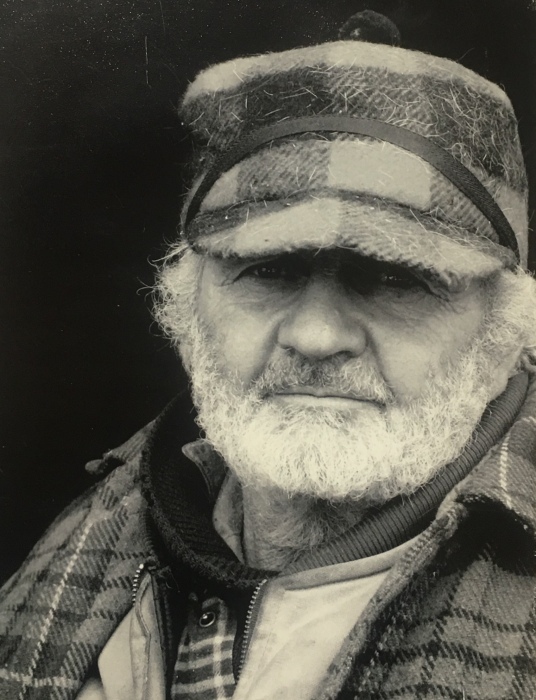 He was a Farmer, Veterinarian, Shepherd, Ferrier, Trapper, Carpenter, Electrician, Plumber, Poet, Cook, Teacher, Inventor, Gardener (he loved his potatoes), Mechanic, Welder, Trail Blazer, Dog Trainer, Business Man, Cowboy, and Preacher. A life time of work well done. His biggest goal was to achieve the one-hundred-year family farm. The farm was purchased by his grandfather George Froman in 1915. Art celebrated this accomplishment, along with his seventy-ninth birthday, in September at the family farm with his family and close friends. Art was a man of faith who was very well versed. He is a god of comfort and is lovingly remembered by his spouse Codyanne “Kookenannie” Bowie of Ponoka; “Dotter” Callyanne Weyts (Ian) of Ponoka; grandson Kingston “Lil Joe” Weyts of Ponoka; step-sons Cale Weyts of Ponoka, and Colton “Grizz” “Coog” Weyts (Chara) and their daughter Cadence of Ponoka; cousin Marilyn Sulz (Ken) of Mill Bay, British Columbia and their children David Sulz (Tanya Berry) and Daniel Sulz; cousin Leanne McDonald (Aaron) of Edmonton and their children Andrew and Julia; cousin Ian McLaren (Carol) of Calgary and their children James and Gordon; as well as many close friends, especially the individuals who became extended family over the last seven months. Master Art also leaves behind his dogs Trish, OE, Revy, Lil Girl, and Bucket. Our family would like to extend a huge thank you to Dr. Gage Seaville Klein for his care and support, Ian Hoszouski for all the help on the farm, and Mike Markey who made Art’s last wish a reality; we never would have been able to take him to Waterton without your help with managing the farm, Mike. Life itself is but a little thing. One breath less-then comes the funeral. A penny is a very little thing; but interest of it from the days of Cain and Abel, would buy up the whole globe. The acorn is a little thing; but the black bear and his family live in the oak that springs from it. A word is a little thing; yet one word has been many a man’s destiny, for good or evil. A kiss is a little thing; but it betrayed the Son of God into the hands of His enemy. A spark is a little thing; but it can light the poor man’s pipe or set the world a ‘burning. An egg is a little thing; but the huge crocodile creeps into life out of it. A star is a little thing; but it can hold this great world in its arms. The tongue is a little thing; but it fills the universe with trouble. The mouse is a little thing; but it feeds the world’s snakes, raptors, and predators. With respect to Art’s wishes, there will be no formal Funeral Service. Memorial donations are gratefully accepted to Peter Popoff Ministries, Art’s grandson Kingston “Lil Joe” Weyts, or to any charity of your choice.